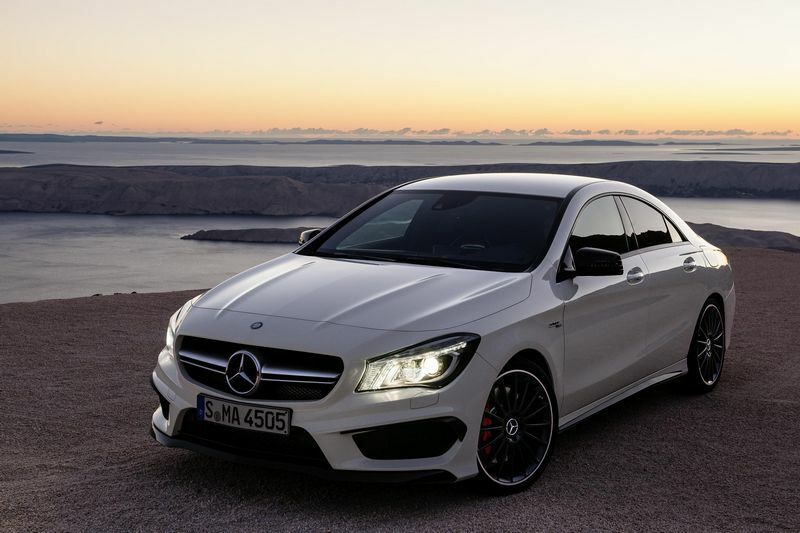 Additional Info: Mercedes code number C117 and shown at the 2013 New York Auto Show. 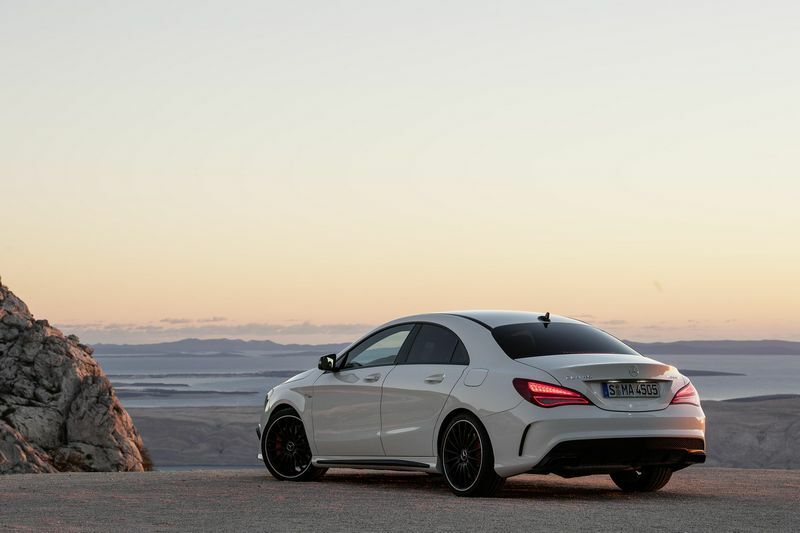 Designed as a 4 door coupe, the CLA 45 AMG has the most powerful series-production four-cylinder engine in the world and uses AMG’s SPEEDSHIFT DCT 7-speed sports transmission, giving uninterrupted smooth gear changes. 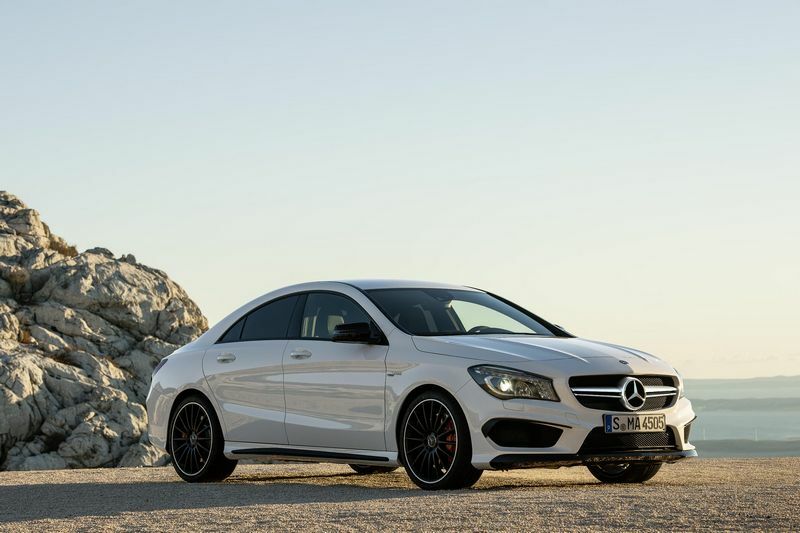 Also has an automatically controlled exhaust flap, which is continuously adjusted by map control according to the power called up by the driver, load status and engine speed, giving a throaty sound during upshifting under full load. 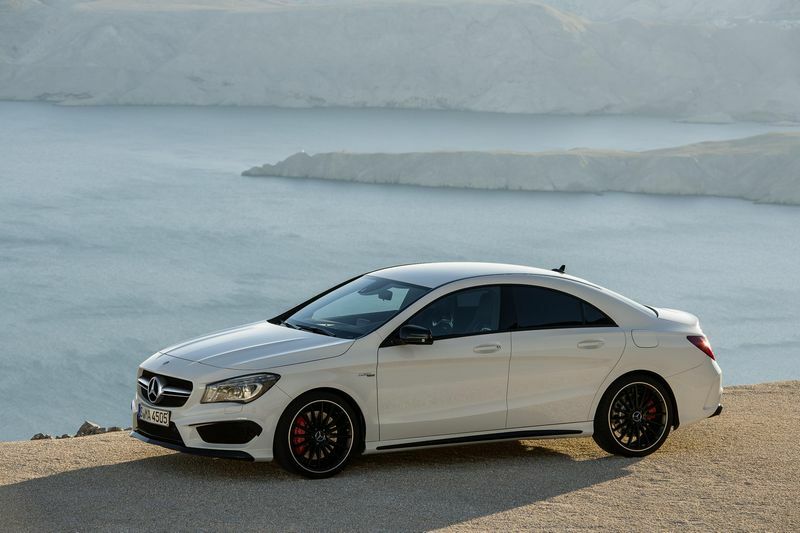 The CLA 45 AMG has many driver controlled features and car controlled electronic features that both allow the driver and the car to change the cars driving dynamics to the type of driving they are doing. 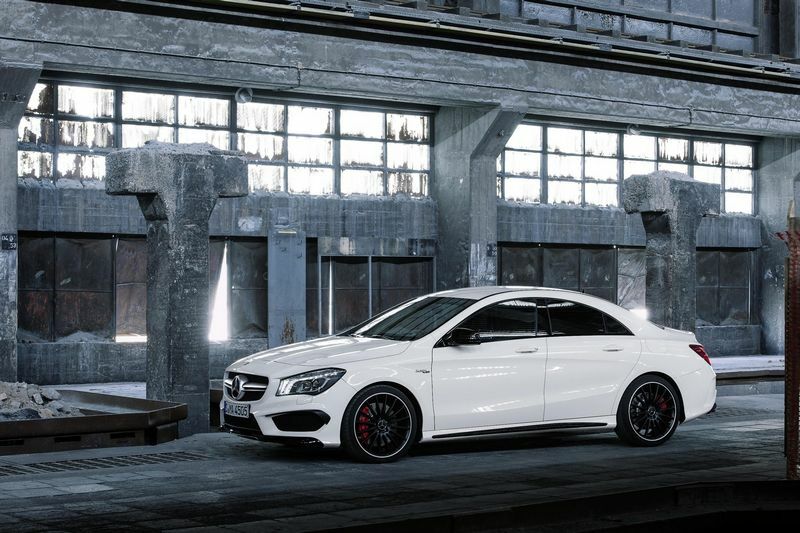 For those looking for a little (much) less there is also a CLA 180 AMG Sport with 120bhp, 0-60 in 9 secs, a CLA 220 CDI AMG Sport with 167bhp, 0-60 in 7.9 secs and 62mpg and a 208-2014bhp CLA 250 AMG, 0-60 in around 6.3 secs. 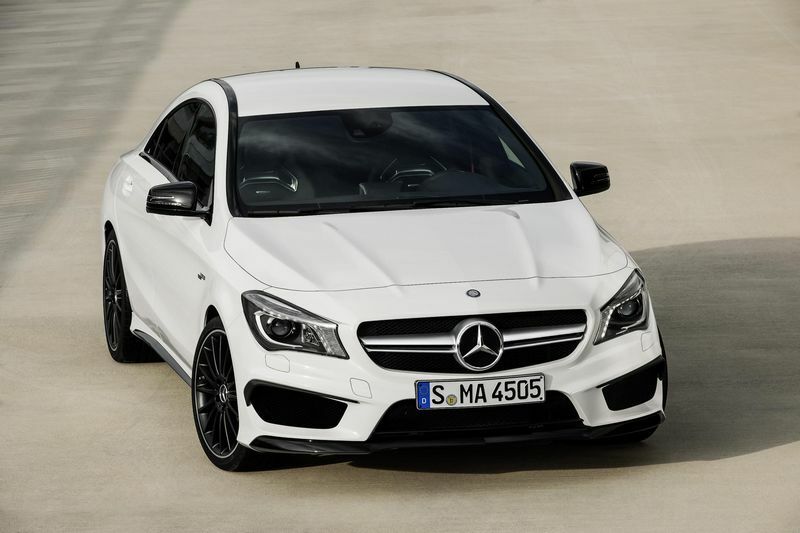 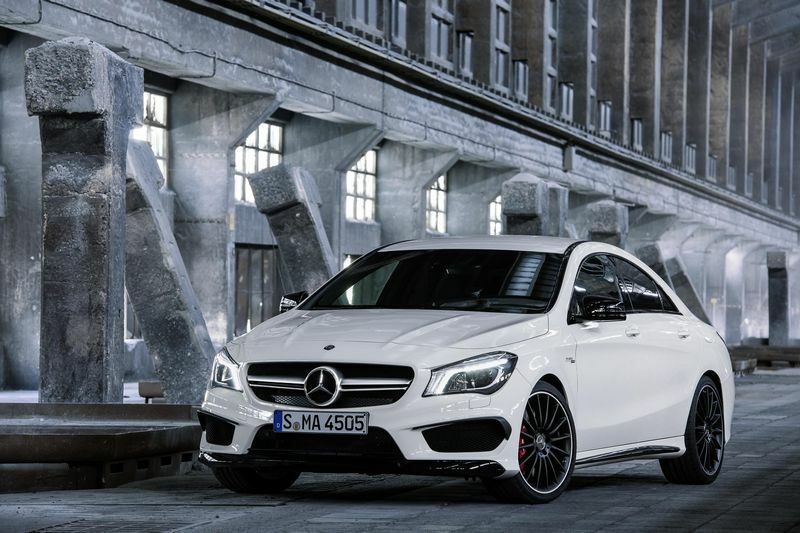 The 2016 CLA 45 AMG now has 380bhp/350ftlbs and will get to 60 in 4.1 seconds and to add to the model line a shooting brake is now available across the range.